As a writer, I love a good story. Yesterday I lucked onto a recent discussion on whether or not the body can heal itself from allegedly incurable diseases. Charlotte Gerson, daughter of Max Gerson, founder of the now famous Gerson Therapy to heal cancer, and radio talk show host Doug Parks were discussing the history of the Gerson Therapy. In my own book, Ten Days to Optimal Health, on page after page I claim that you can heal; that your body, given the right conditions, will heal itself. 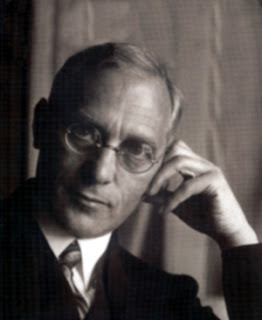 In the early 1900’s, Max Gerson was in medical school and had developed unbearably severe migraine headaches. His doctors and his professors all presented similar assessments: there is nothing you can do; you will likely feel better when you are 55. Gerson did not accept these conclusions. He read and he read and he read and finally he discovered a story from an obscure Italian magazine about a woman who had found relief from her health troubles by changing her diet. Even though the culture was Germany in the early 1900’s, where “diet was for the cook” (that is, not the jurisdiction of doctors), he decided that since no one else had any ideas, he would try it! Sure enough, when he found the right way to change his diet, a restricted diet worked. First, he tried milk because he thought if babies could digest it, he could. No improvement. Then, because apples were plentiful locally, he tried an apple diet – raw apples, baked apples, applesauce, and apple juice – and his migraine headaches vanished! From there, he slowly added different foods back to his diet. Foods that didn’t agree with him gave him a migraine in 30 minutes; these foods he permanently eliminated. Once out of medical school and in practice, Dr. Gerson decided to try to help other migraine sufferers. He never promised anything because all the books said it was incurable, but he found that as long as they stuck with his suggestions, they were "cured" if they followed the strict apple diet. Then one day a man who had come to Dr. Gerson for migraine relief reported back that in addition to the relief of migraines his skin tuberculosis disappeared. Dr. Gerson couldn’t believe this because skin tuberculosis was incurable, but, sure enough, the skin tuberculosis was gone. This led other doctors to send their patients to Dr. Gerson, who continued to develop his ideas about changing the environment to support the body to heal itself and to help countless people to heal. In addition to dietary changes, Dr Gerson determined that the body needed to be detoxified in order to heal itself; he chose coffee enemas for their ability to assist the liver to rid the body of toxins. The coffee travels from the large intestines into the blood stream to support the liver to open the ducts, thus releasing accumulated poisons in the body. In order to detoxify using coffee enemas, he recommended at least one and up to five coffee enemas daily. Thank you, Charlotte Gerson and Doug Parks, for carrying the torch that the body can heal itself from countless illnesses. I honor Dr. Gerson as a pioneer in the study of epigenetics, the science behind how environmental factors can alter the way our genes are expressed.